New brain technologies including neuroimaging studies are powerful means for providing new insights into clinical and cognitive neuroscience. Bipolar disorder is a severe chronic phasic mental disease characterized by various cognitive dysfunctions. Working memory is one prominent domain of cognitive impairment in bipolar disorder. 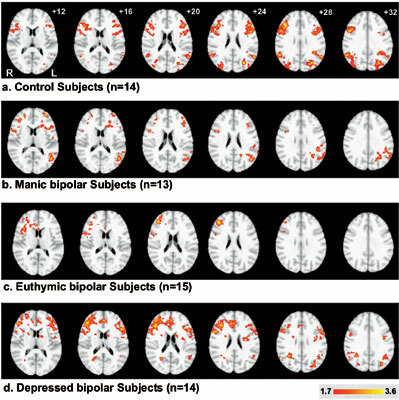 Disruptions in working memory are observed even in euthymic bipolar patients which makes it a potential endophenotypic marker for the disorder. Finding such markers may help in providing firm neurobiological basis for psychiatric nosologies and symptomatic presentations. This review aims to summarize some of the important aspects of findings from functional magnetic resonance imaging studies on the activation of brain structures in relation to working memory paradigms. Brain technologies, Functional MRI, Working memory, Bipolar disorder, Endophenotype, Brain structures.